Update (May, 2016): Now, you can use the official desktop app instead of using the web app. You can get it for your Mac or PC here. 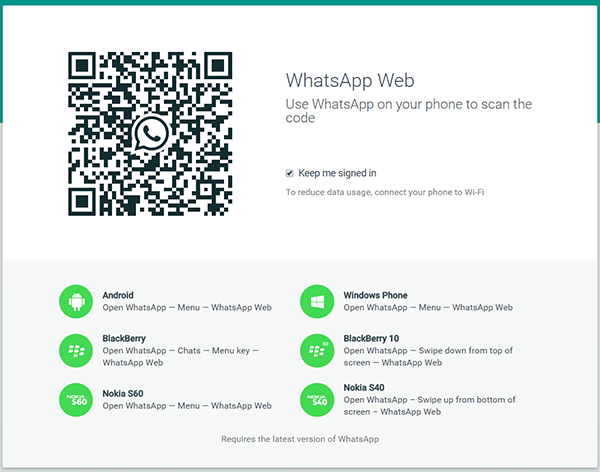 Did you know that it is possible to use WhatsApp in a computer with the help of its official web interface? All you need is a web browser and an active internet connection in both your laptop and your phone where WhatsApp is installed. Provide some authentications and you will be able to access the web interface. You don't have to use an Android emulator or anything of that nature. 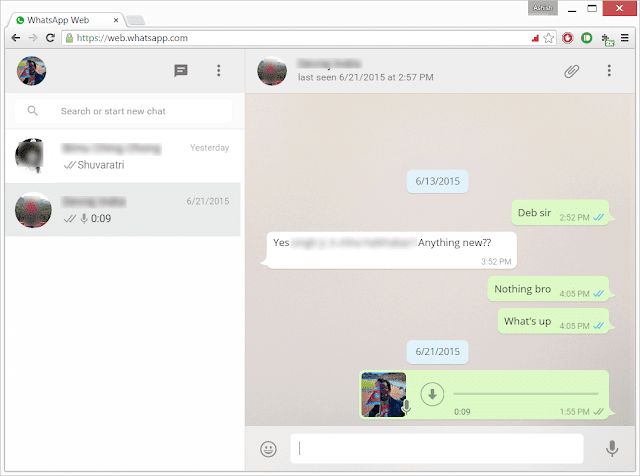 Simply use WhatsApp like a chat client from your desktop or laptop. Send messages easily, receive them and even get notifications of new messages received by you. All the important communication features like sending picture or video attachments, sending emoji and searching/viewing contact information are available. The reason behind using WhatsApp in your computer is for ease. When you are sitting down and typing in your computer, it isn't convenient to switch to your phone every once in a while. With every new message received, you can't unlock your phone every time and reply back. It is much more convenient to switch to a web browser tab and reply from there. Typing from the keyboard is also much more accurate and fast. It makes it simpler to send picture or video attachments which are present in your desktop. Open the website: http://web.whatsapp.com from your favorite internet browser. It will load up a web page with a QR Code and some instructions. There are instructions for these devices—Android, Windows Phone, BlackBerry, and two Nokia phones. Sadly, it doesn't support iOS devices (iPhone/iPad) yet. Follow the authentication steps; for Android tap on Menu > WhatsApp Web option. Scan the QR Code. It will immediately authenticate and will be usable. A web interface will load up which has all the features required for a quick chat with friends. To enable notifications, go to the options by clicking on the three lines and then click on notifications. You will have to authenticate it with your browser. Depending upon the option you chose during the first authentication, you will always be signed into WhatsApp from your PC. 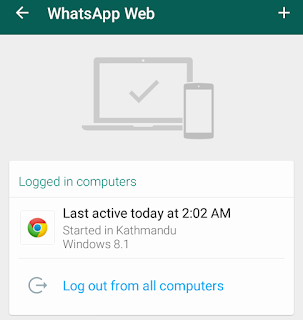 Just open web.whatsapp.com and you are automatically logged in. No need to authenticate more than once. To sign out, go back to your phone and from the main WhatsApp screen click on those three dots Menu > WhatsApp Web again. There will be an option to log out from all computers. You will also see the last active date in the screen. To add a new computer, in the same screen, click on the plus sign (+) present on the top right. Enjoy using this amazing communication app in your desktop or laptop computer. Just remember that you will have to be connected to a Wi-Fi or data internet network on your phone to be able to use WhatsApp in your PC.